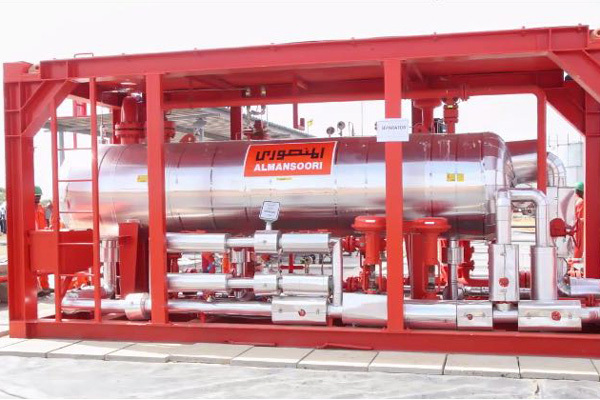 Abu Dhabi-based AlMansoori Specialized Engineering, a leader in oilfield services in the Middle East, has successfully contributed to the Early Oil Pilot Scheme (EOPS) launch leading to Kenya’s first oil production and export programme by providing facilities for the landmark project. The $15 million contract with Tullow Oil, part of Kenya’s EOPS, included the provision of degassing facilities for three well pads and an early production facility (EPF) for oil and water separation, stabilisation, storage and export, said a statement from the company. The wells are in the South Lokichar Basin, in Turkana County approximately 350 miles north-east of Nairobi, with the facilities designed and manufactured by AlMansoori in Abu Dhabi, it said. In line with its commitment to supporting the local workforce, AlMansoori has recruited personnel from the local community and has established a programme to train and develop these local young people to work in the facilities. Furthermore, AlMansoori is utilising local fabricators and suppliers to outsource the required materials and consumables for these operations, it added. The EOPS is a momentous project because it establishes Kenya as the first East African nation to export oil, said a statement. Under the scheme, oil from the wells will be transported by road to refineries in Mombassa in advance of an 821-km pipeline being constructed to allow full production by 2021/2022, it said. The launch event was also attended by AlMansoori Production Services (MPS) general manager, Ahmed Aboulfotouh; and operations manager Tamer ElZayat. “This important scheme has enabled us to demonstrate our capabilities in executing a full project scope, including engineering, procurement, construction and pre-commissioning as well as the operation and maintenance of the facilities. These have all been undertaken successfully despite challenges due to the conditions, location and human resources available,” he said.